Many so-called facial cleansers for sensitive skin contain harsh chemicals such as parabens that are far from fit for that purpose. 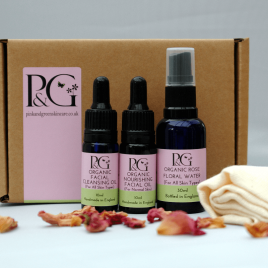 So we produced the Pink&Green VERY gentle organic facial cleanser. This mild, organic face wash is pure and simple. It’s formulated with ultra-sensitive skin in mind and is suitable for daily cleansing use. Say goodbye to red, flaky, irritated skin. 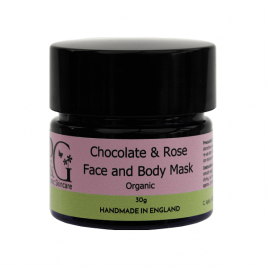 Wash away make-up and daily grime from your face and leave it feeling fresh and clean, soft and soothed. Use the VERY gentle face cleanser daily before you moisturize. Simply apply a small amount to a ball of cotton wool wipe your face with a gentle action. Be sure to take care around the delicate eye area. 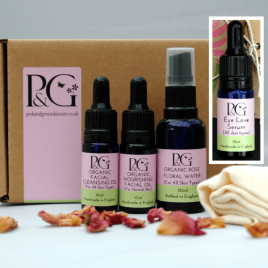 The Pink&Green organic VERY gentle cleanser is formulated from a range of ingredients that will soften, nourish and hydrate your skin, including sunflower oil, glycerine and castor oil.